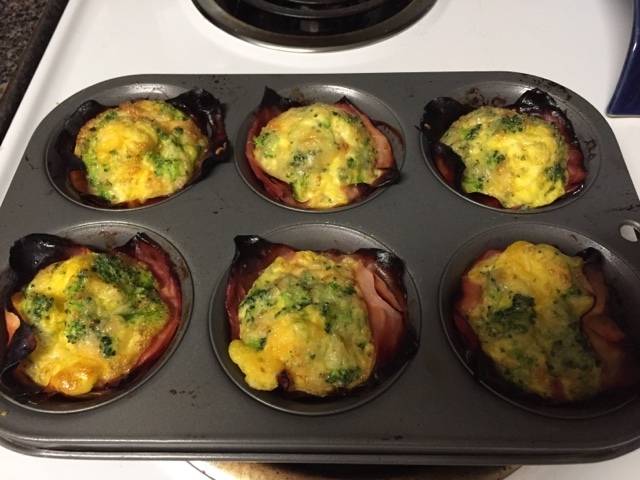 Something easy and healthy for breakfast... broccoli, ham, and cheese egg "muffins." They freeze up, and are ready to eat after a minute in the microwave. Perfect for those mornings when we're a little behind!